Chicago (CNN) Jussie Smollett paid two brothers $3,500 to stage an attack on him last month, taking “advantage of the pain and anger of racism to promote his career,” Chicago Police Superintendent Eddie Johnson alleged Thursday. 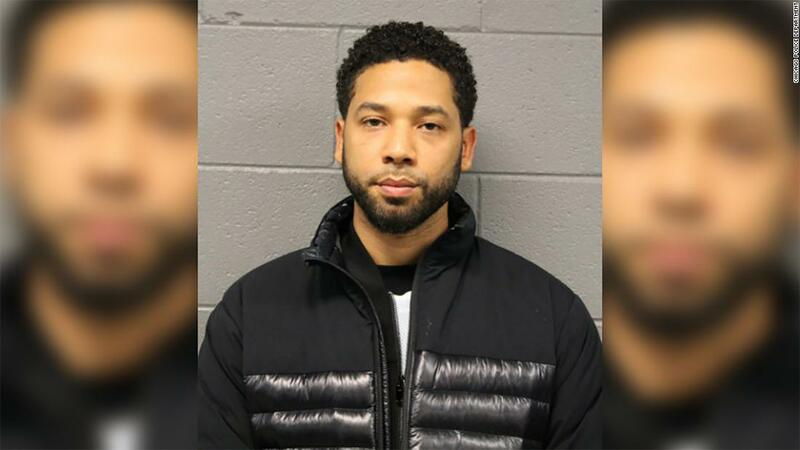 The “Empire” actor was arrested Thursday morning on suspicion of filing a false report about the January 29 incident and appeared in court in the afternoon. He paid a bond later and was released. Smollett texted one of the brothers, his friend Abimbola Osundairo, on January 25 and said, “Might need your help on the low. You around to talk face to face?” prosecutors alleged. “As far as we can tell, the scratching and bruising that you saw on his face were most likely self-inflicted,” said Johnson. Investigators believe Smollett staged the attack “because he was dissatisfied with his salary,” Johnson said, citing information that the brothers gave to police. According to Johnson, Olabinjo and Abimbola Osundairo asked for an attorney once in custody. After their lawyer explained to police that “something smelled fishy,” the men told officers that Smollett, who is black and gay, first “attempted to gain attention by sending a false letter that relied on racial, homophobic and political language. When that didn’t work, Smollett paid $3,500 to stage this attack,” the police superintendent said. Seven days before the alleged attack, a letter was sent to the Chicago set of “Empire.” It contained white powder and a drawing of a “stick figure hanging from a tree,” police have said. Authorities determined the powder to be aspirin, police spokesman Anthony Guglielmi said. 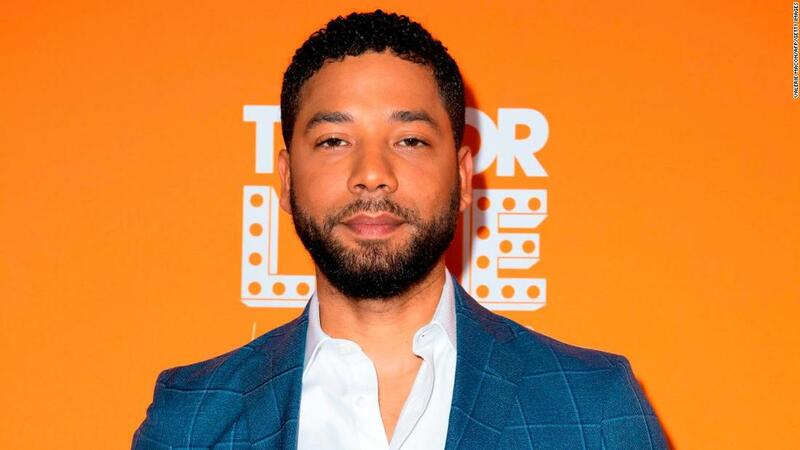 According to prosecutors, Smollett told Abimbola Osundairo that he was disappointed in the “Empire” team’s reaction to the letter. Investigators have the check Smollett used to pay Abimbola Osundairo, prosecutors say. The brothers’ motive for helping was money, Johnson said. “There was never a thought in their mind that we would be able to track them down,” he said. At one point, Smollett’s legal team asked that the grand jury proceeding be postponed so he could provide new details, but “essentially they gave us no new information,” Wodnicki said. The grand jury heard the evidence, and on Wednesday, police said, the Cook County State’s Attorney’s Office approved a felony disorderly conduct charge against the actor. During Thursday’s news conference, Johnson repeatedly chastised the media for devoting more attention to the Smollett case than to other alleged victims of violence in the city. 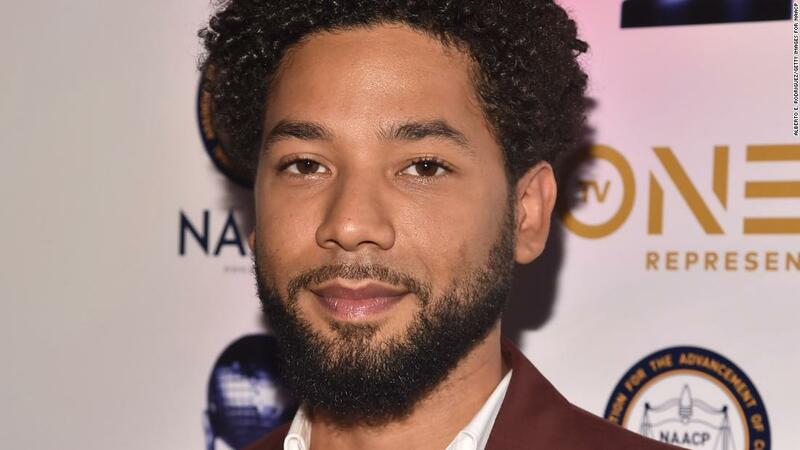 Rush to judgment in the Jussie Smollett case? In the weeks since the alleged attack, there have been numerous twists in the narrative, transforming Smollett from victim to suspect. 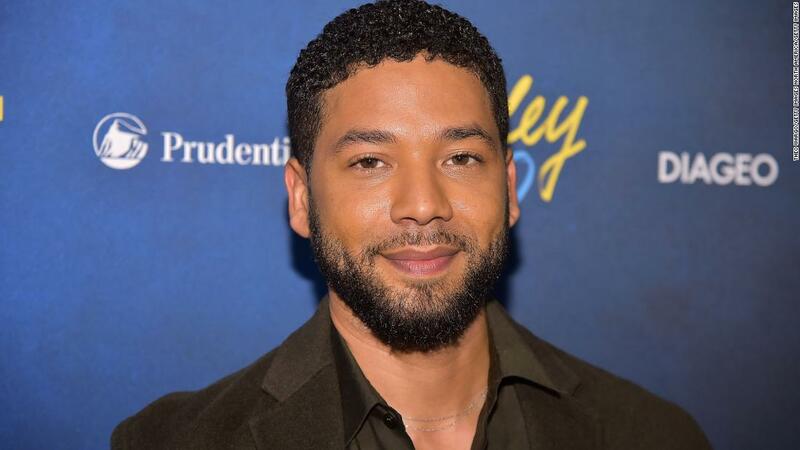 Smollett has stood by his initial claims that he was attacked. Celebrities and politicians lent their fervent support, but there were doubters. The backlash grew louder as social media users questioned the actor’s claims after police said they could not find video of the incident from surveillance cameras in the area. The two are no longer suspects, Chicago police say.The brothers’ attorney, Gloria Schmidt, told reporters Wednesday that her clients had not accepted a plea deal. 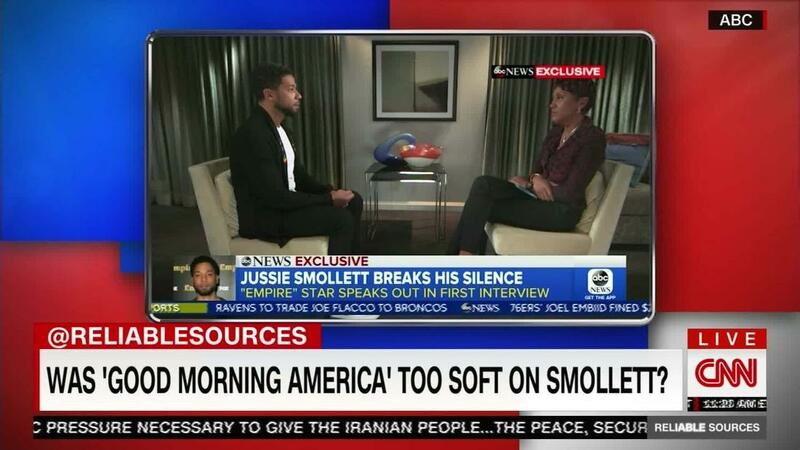 Was ‘GMA’ too soft in Jussie Smollett interview? 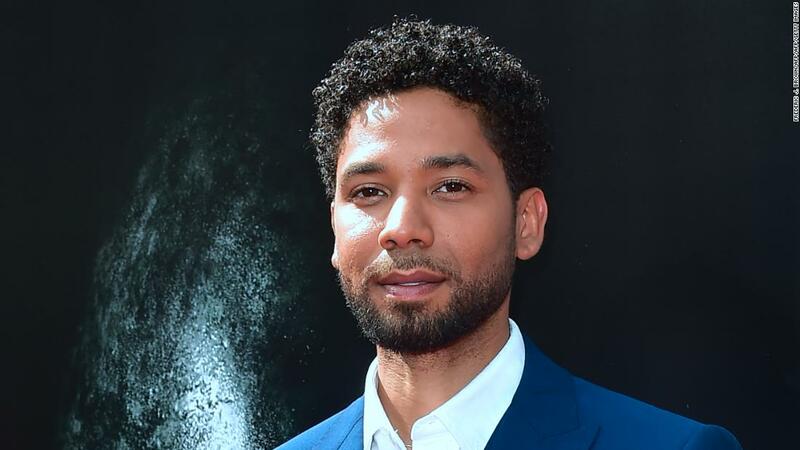 Smollett, who plays a gay character on the Fox drama “Empire,” told detectives two men attacked him near the lower entrance of a Loews hotel in Chicago, police said. The men yelled, ” ‘Empire’ fa***t” and ” ‘Empire’ n***er,’ ” while striking him, police were told. The actor also confirmed reports that one of the men shouted, “This is MAGA country,” a reference to President Donald Trump’s “Make America Great Again” slogan, police said. Prosecutors allege Smollett directed the brothers to utter the remarks and epithets while attacking him. The attack was supposed to go down at 10 p.m. on January 28, but was postponed until 2 the next morning because Smollett’s flight was delayed, prosecutors say. After the brothers were released from custody, Smollett’s attorneys maintained their client was the victim of a hate crime and said he was cooperating with police.